As the ninth child of eleven, I didn’t get a whole lot of new things for myself. Actually no one in my family did. My mother was (still is) extremely frugal and efficient with money, which you would have to be to have eleven kids! Needless to say, when the Jelly Shoe crazy was going strong when I was a child of the 80’s, it was another trend I would have to just dream of and envy the girls who had them. All the colors! Ah, I could only hope. Fast forward many years and guess what? 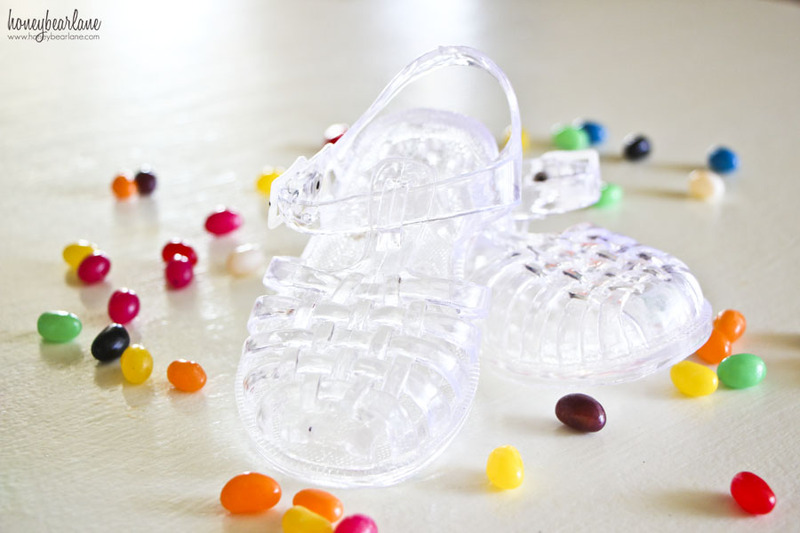 Jelly Shoes are back! She’s worn these shoes pretty much every day since they arrived. I love that they are clear because they go with everything like white does but it doesn’t get all dirty. These have gotten trashed going everywhere from the beach to dirty roads and they still look great. Some people complained that jelly shoes gave them blisters. She was getting a small red spot on her ankle where the T-Strap touches it so I took some advice of another reader and just trimmed it with scissors to be shorter. Totally easy and solved the problem and the shoes still look great. I really do love these shoes for my kids. They come in so many colors and are a great summer shoe. I love that they can get wet and be totally fine. I thought it would be a pain to put them on since you have the side buckle but since they have a little stretch in the strap we just stretch it around her ankles and never have to deal with the buckle. Do you want a pair now? 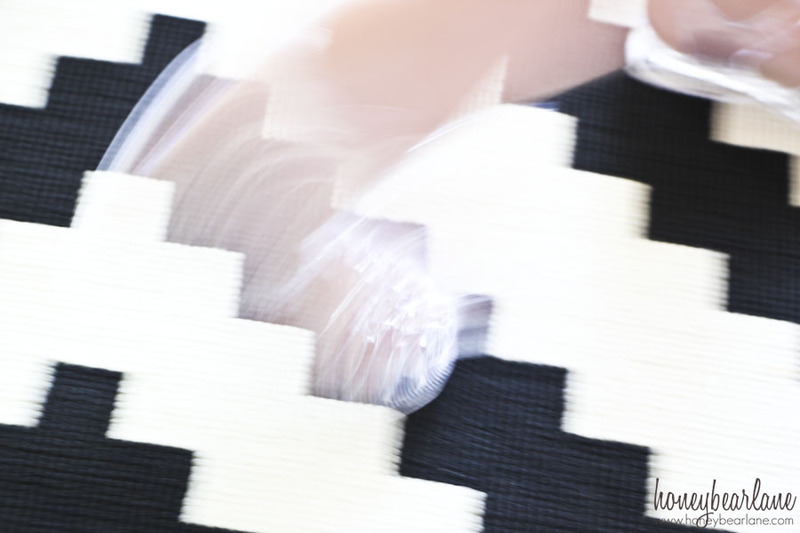 These Jelly Shoes are available in the United States now with free shipping (yay!) Visit them at their website, their Facebook, Twitter, Instagram, or Pinterest. Oh my gosh, I haven’t been on your blog in a while and I can’t believe how big and adorable she is. I love jelly shoes and am glad to see them back! Oh she looks cute! The jelly shoes look totally cute on her. The jelly beans look so yummy that’s why you get to make her sit. Great idea you got there mommy! Anyway, the shoes really look cute. 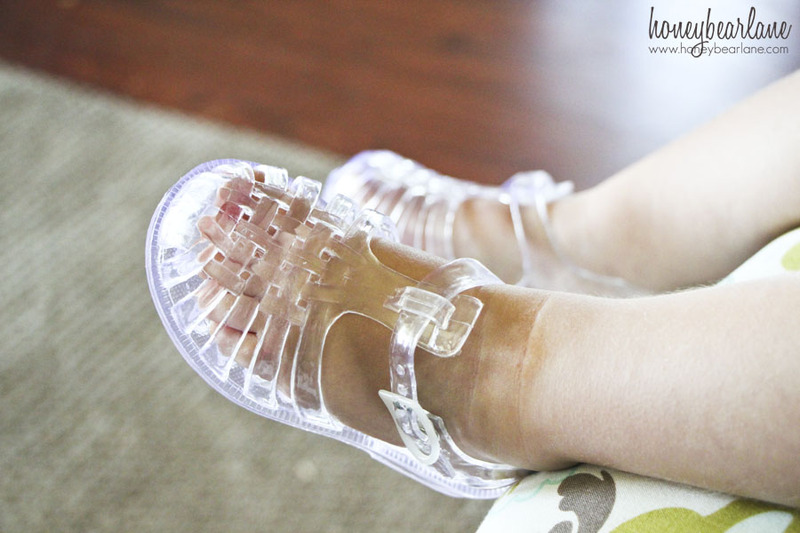 I love jelly shoes and they really look cute on your little girl.